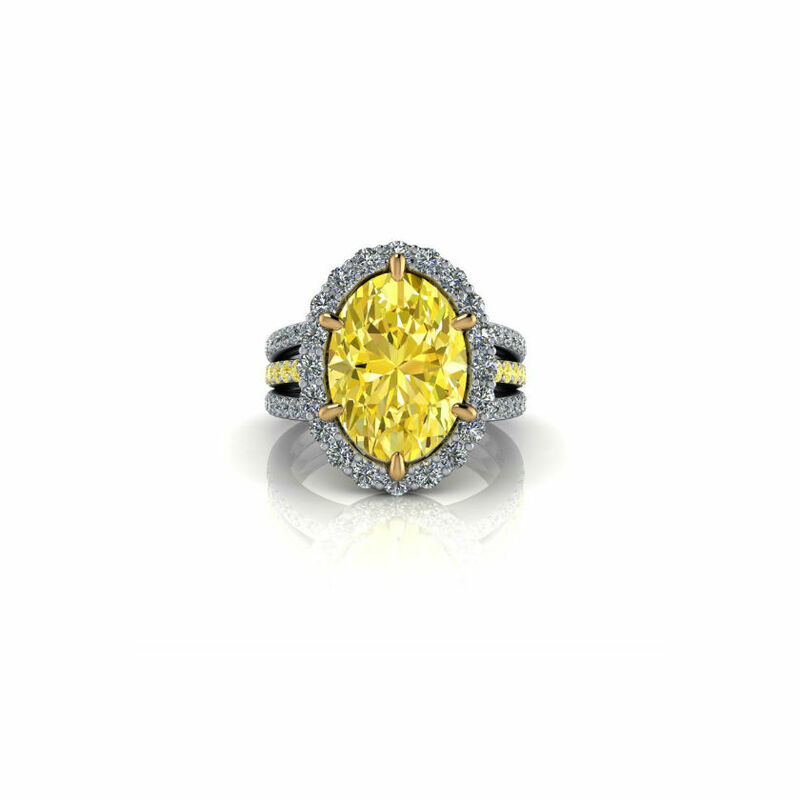 This is a simply magnificent fancy yellow diamond ring in platinum with 18ct yellow gold claws and features to its setting. Our client knew she wanted a fabulous show-piece. She knew she wanted a fancy yellow diamond and that she wanted it to wow. Christopher started by searching for the perfect diamond and spent a number of weeks liaising with diamonds dealers around the world to find the perfect shape, intensity of colour and dimensions. The final diamond is a truly world-class example of a fancy intense natural yellow diamond. Once the diamond was selected, Christopher got to work on a number of designs in which to best showcase its brilliance and colour. After some deliberation, this was the final design: A halo design with a three-strand diamond-set band - the middle one being set with round brilliant fancy yellow diamonds. The detailing on the back of the ring and underneath the bezel is intricate and beautiful. Delicate white diamonds decorate three yellow gold strands and are a surprising, yet stunning addition to the overall effect of the ring. 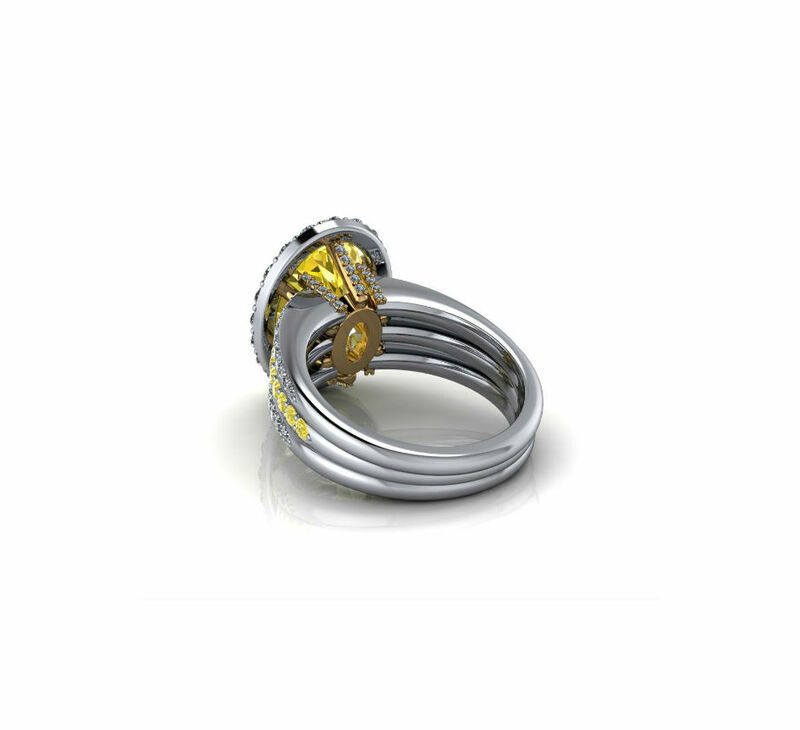 Created in platinum with 18ct yellow gold claws and features to the setting.